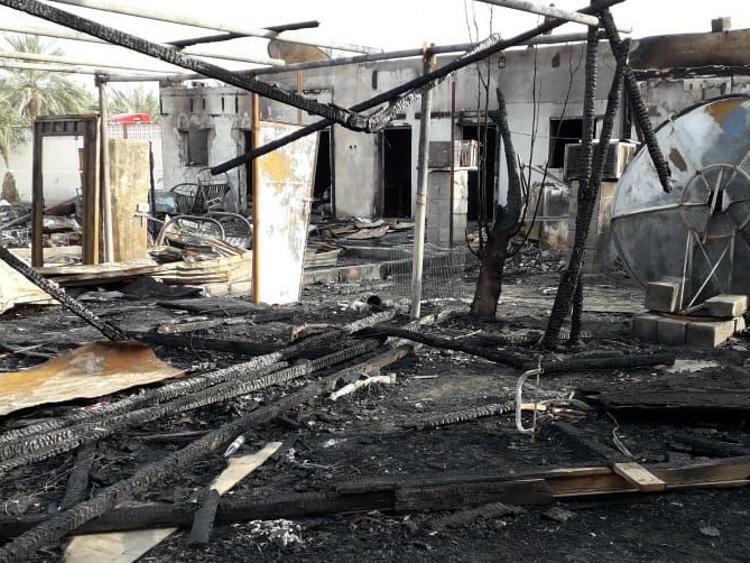 Six people, including a family of four, were killed in a fire at a home in Al Ain City. The tragedy was reported at 5.53am on Friday. Six Pakistani men were killed after a fire broke out in a villa in Al Ain’s Zakher area, the police said on Sunday. The police said the survivors of the fire failed to inform the police as soon as it broke out, causing it to spread rapidly. Two men at the scene tried to put out the blaze on their own but failed to do so. A lone survivor of the tragedy, Mohammed Raheem, 50, who was visiting the family from Dubai, told that he escaped by smashing open the aluminium roof of a bathroom. “I tried to pull Omer out, but he fell unconscious after suffocating due to the smoke,” said Raheem, who works as a driver. According to him, both Omer and Khurram were working at a furniture store and got married just six months ago back in Pakistan. “Omer worked in the Al Ain branch of the store, while Khurram was in Ajman. He was visiting his father during the weekend,” said Khan.